GALWAY — Fort Plain/Oppenheim-Ephratah/St. Johnsville and Galway split the Western Athletic Conference track and field meet Monday at Galway High School. The Galway girls defeated Fort Plain/Oppenheim-Ephratah/St. Johnsville 83-34, while the Fort Plain/Oppenheim-Ephratah/St. Johnsville boys topped Galway 86-45. 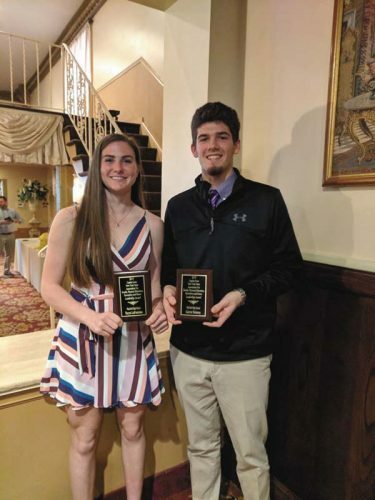 Rachel Wnuk was a triple individual winner for the Galway girls, collecting victories in the 100-meter high hurdles, high jump and triple jump. She also ran a leg on the victories 400-meter relay. Sarah Earnst picked up two individual wins for the Golden Eagles with her victories in the 100- and 200-meter dashes. Cheyanne Wahl and Quinn Jones posted wins for the Fort Plain/Oppenheim-Ephratah/St. Johnsville girls. Wahl won the 400-meter intermediate hurdles, while Jones took home the victory in the discus. Holden Decker picked up two individual victories for the Galway boys, taking first in the 1,600 and 800-meter runs. 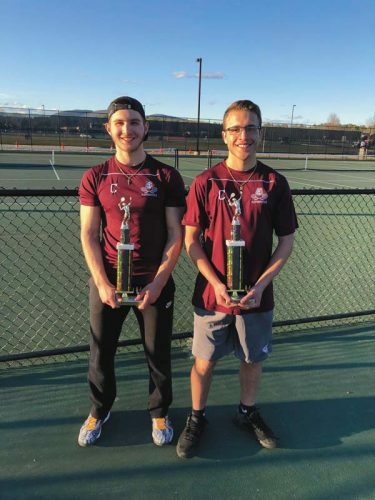 Mekhi Lanier, Joe Lemoine and Hunter Logan were double winners for the Fort Plain/Oppenheim-Ephratah/St. Johnsville boys. Lanier topped the field in the 100- and 200-meter dashes, while Lemoine won the long jump and triple jump and Logan swept the shot put and discus throws. 100: Sarah Ernst (G), 13.6. 1500: Emma Jordan (G), 5:46. 400 relay: Galway (Wnuk, Meisenburg, LaCeraius, Ernst(, 57.1. 400: Emma Spardo (G), 1:12.9. 400 IH: Cheyanne Wahl (FPOESJ), 1:37.2. 800: Samantha Grant (G), 2:55. 200: Sarah Ernst (G), 28.9. 3000: Emma Jordan (G), 12:36. Long jump: Jade Sicluna (G), 12-07 1/2. High jump: Rachel Wnuk (G), 4-10. Discus: Quinn Jones (FPOESJ), 73-06 3/4. Shot put: Aila Bishop (G), 28-0. Triple jump: Rachel Wnuk (G), 29-08 1/2. 3200 relay: Fort Plain/Oppenheim-Ephratah/St. Johnsville, 11:41.9. 110 HH: Deegan Eggleston (FPOESJ), 21.4. 100: Mekhi Lanier (FPOESJ), 11.7. 1600: Holden Decker (G), 4:47.3. 400 IH: Owin Landry (FPOESJ), 1:16.1. 800: Holden Decker (G), 2:09.1. 200: Mekhi Lanier (FPOESJ), 23.9. 3200: Zach Mosher (FPOESJ), 12:16.5. Long jump: Joe Lemoine (FPOESJ), 16-04 1/4. High jump: Charlie Clarke (G), 5-02. Discus: Hunter Logan (FPOESJ), 100-01-1/2. Shot put: Hunter Logan (FPOESJ), 41-06. Triple jump: Joe Lemoine (FPOESJ), 35-06.